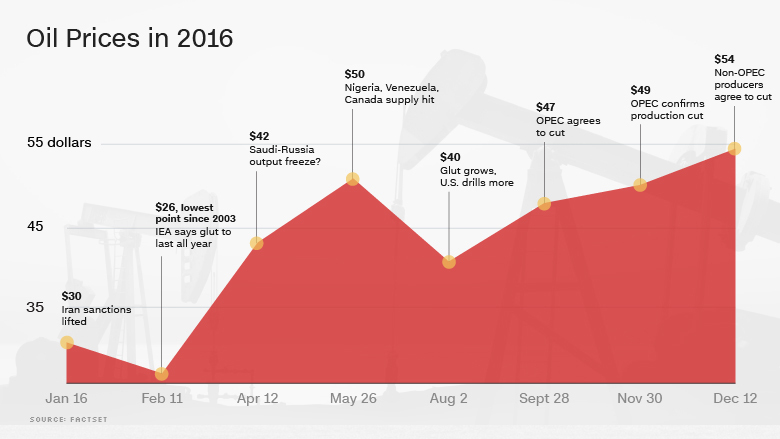 It was a roller coaster year for oil prices. And little wonder. Iranian oil flooded onto world markets after sanctions were lifted, OPEC squabbled over production levels and then ended the year with a rare agreement to cut supply. The icing on the cake: big producers outside the cartel promised to help curb output and drain a huge oil glut. After starting the year around $30 a barrel, prices plunged to $26 in February -- the lowest since 2003 -- before climbing back above $50 this month. Leading industry experts say prices should stay above $50 if oil producing nations stick to their guns and cut supply by nearly 1.8 million barrels per day. "I know the countries are serious," BP (BP) CEO Bob Dudley told CNNMoney on Saturday in Abu Dhabi. "Notices of curtailment have gone out from this region. Russia is clearly very serious about participating in that ...all the ingredients are there to do it." "There is no question in my mind that if this agreement stays intact the floor will be around $50," Dudley said. Efforts to curb supply should mean the global crude oil glut will disappear in the first half of next year, according to the International Energy Agency. That's much earlier than it had previously predicted. Again, as long as OPEC -- led by Saudi Arabia -- sticks to its word. That's no small caveat. OPEC's record on that score isn't good. Since 1989, OPEC has hammered out several production cuts like the one it just negotiated in November. But in that period, the cartel has produced more oil than its quota in all but a handful of months. "OPEC (countries) never holds to their deals. They always cheat," said John La Forge, head of Real Asset Strategy at Wells Fargo. Still, there's a lot at stake for producing countries whose budgets have been hammered, and oil companies who have slashed investment in their businesses. 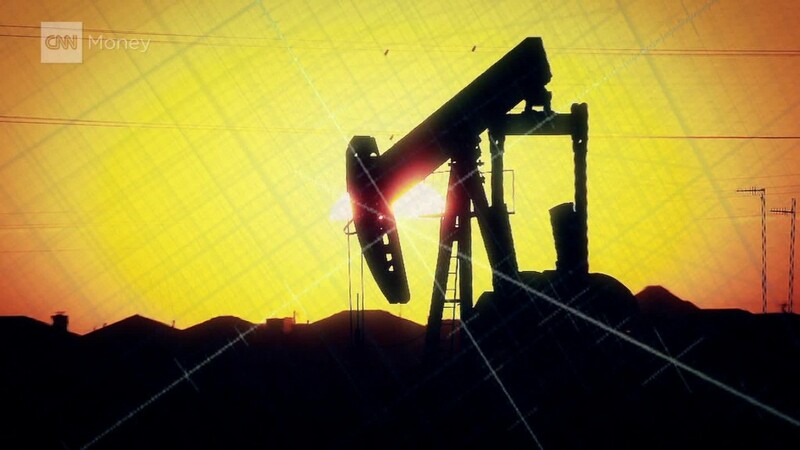 If the production cuts hold, business intelligence firm Wood Mackenzie says the oil and gas industry could see positive cash flow for the first time since 2014. "Overall 2017 will be a year of stability and opportunity for oil and gas companies in positions of financial strength," said Tom Ellacott, head of corporate analysis research at Wood Mackenzie. "More players will look at opportunities to adapt and grow their portfolios."